The number of children requiring secondary school places in Westminster is projected to rise by 800 over the next five years. To make sure every child in Westminster has a school place, the council in investing to make room for more pupils. Westminster City School and St George’s Catholic School will be the first to grow, with an additional 300 places across all year groups. Work will be completed for 2018, subject to planning approval. 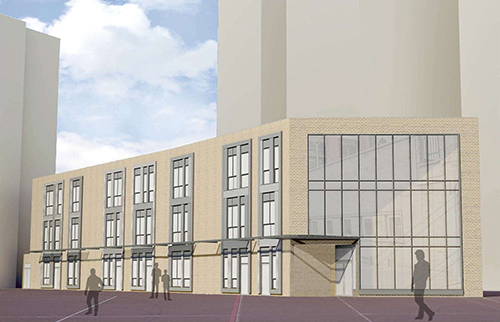 King Solomon Academy and Pimlico Academy will also expand, with more details to be confirmed soon. The Sir Simon Milton University Technical College will also open in September 2017, welcoming 175 14 to 16-year-olds in its first year. The UTC will provide teaching and pastoral support from experienced staff, leading to a broad range of exams that you would expect in an excellent school, with particular expertise in the sciences, technology, engineering and mathematics (STEM) subjects. In addition, students will be stimulated and challenged through access to the unparalleled industry facilities, opportunities and support of our high-profile partners, including Network Rail, Land Securities, BT Fleet, Sir Robert McAlpine, Alstom, Transport for London, Crossrail, the Sir Simon Milton Foundation and the University of Westminster.